Your students will love playing these early elementary level supplements with fantastic optional teacher accompaniments arranged by Eric Baumgartner. They complement and enhance the original Teaching Little Fingers to Play method, offering important guides and reminders to reinforce musical concepts. 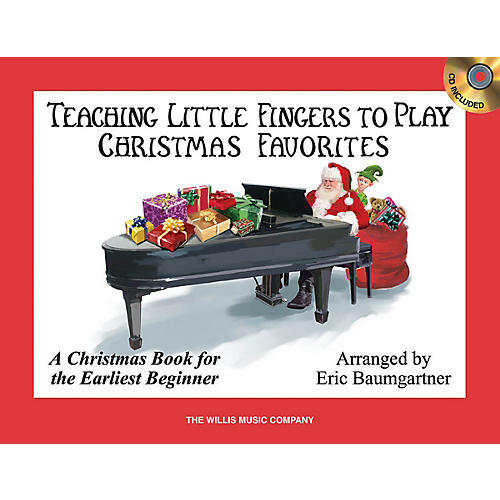 Our Teaching Little Fingers series successfully encourages advancement and also provides delightful recital material! 9 songs, including: Blue Christmas · The Chipmunk Song · The Most Wonderful Time of the Year · Rudolph the Red-Nosed Reindeer · Silver Bells · and more.